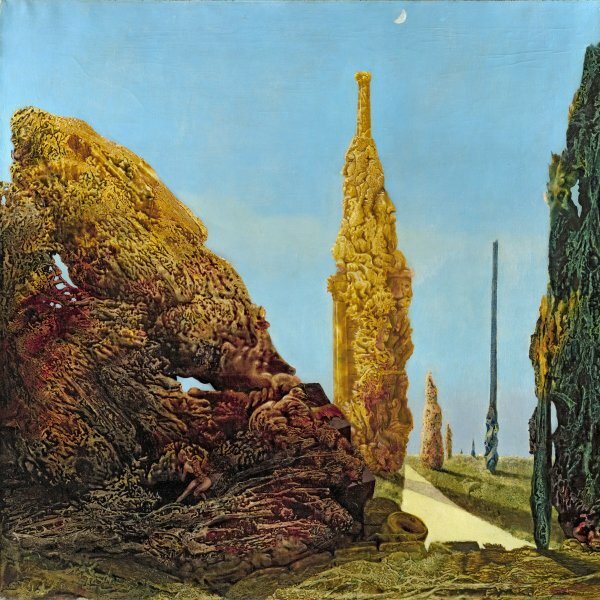 The title given by Max Ernst to the present painting — Untitled. (Dada) — leaves no doubt about his attachment to this movement. 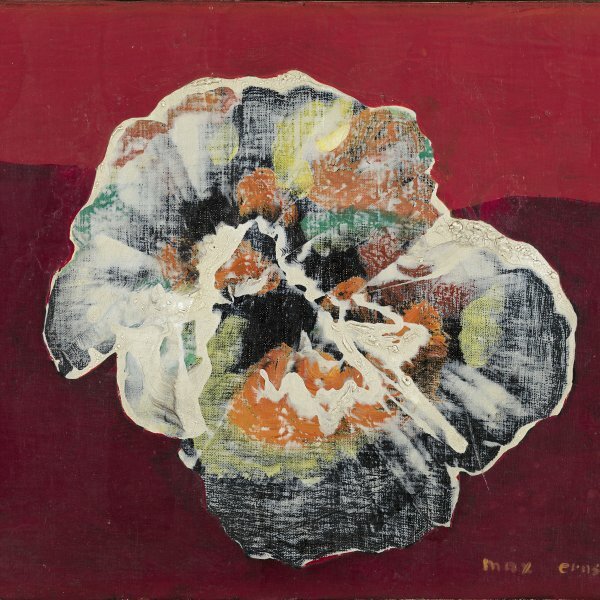 The artist, who came to call himself “Dadamax Ernst, ” was one of the leading members of the Cologne Dadaists together with the artist and poet Johannes Baargeld, who belonged to the Communist party, and the experimental artist Hans Arp. However, the canvas is dated about 1922 or 1923, by which time Ernst had moved to Paris, where he would soon join the Surrealist group, then in its époque des sommeils. 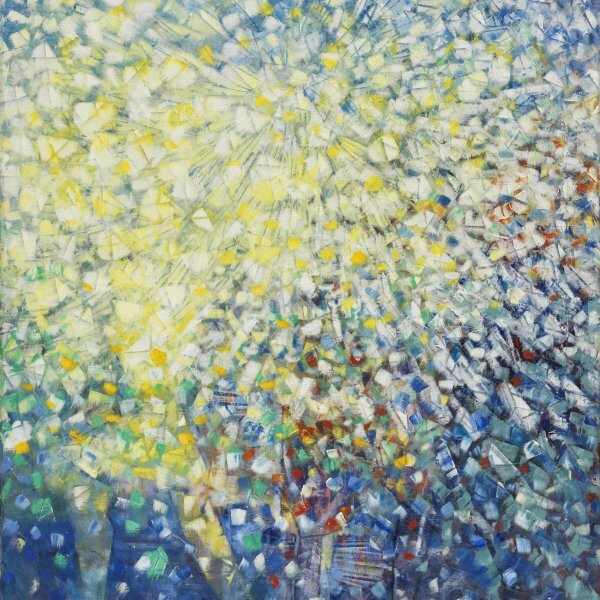 The natural progression from Dadaism to Surrealism is very evident in Ernst’s painting. A person with his back to the viewer stands opposite a large spiral in a room containing several absurd floating objects. Each detail is depicted realistically, but when viewed as a whole, the composition has an inexplicable discontinuity about it. By removing the various elements from their context, Ernst not only creates new forms but achieves fanciful and strange meanings. 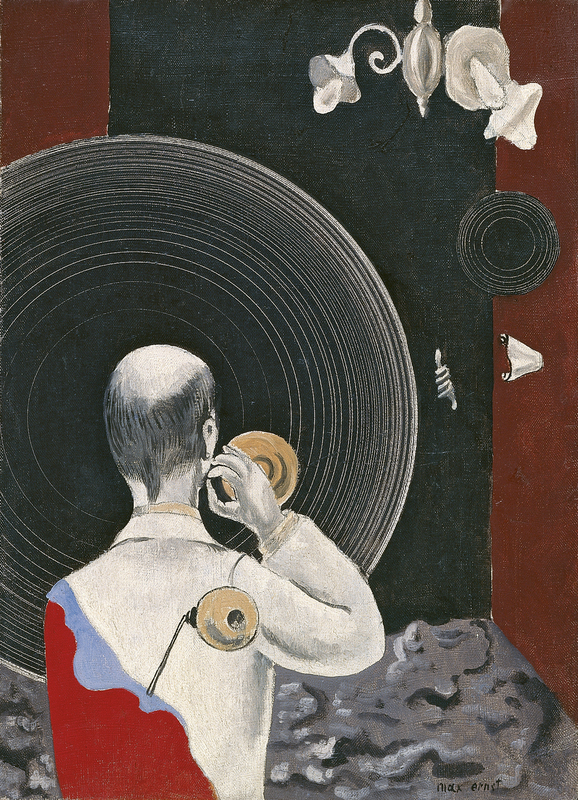 Although it is an oil painting, Ernst employs the devices of collage. From 1918 to 1924 the artist exploited to the full the satirical use of this technique with a mordacity that recalls the photomontages of John Heartfield and George Grosz.